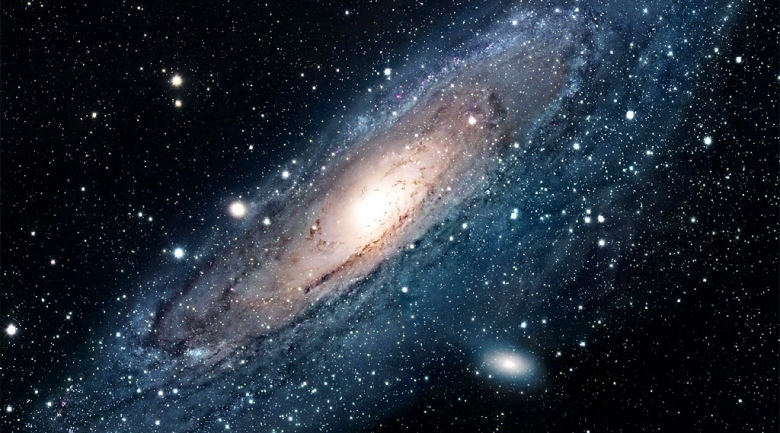 The Milky Way is set to collide with its closest neighbor, the Andromeda galaxy, astronomers working with the Hubble Space Telescope said Thursday. Galactic residents need not brace for impact just yet, however: The predicted collision would take place in 4 billion years. Andromeda, officially known as Messier 31, or M31, is located about 2.5 million light-years away from the Milky Way — which would make it our closest fellow spiral galaxy. Spiral galaxies have flat, rotating, disc-shaped bodies with spiral arms anchored by a supermassive black hole at the center. The galaxy’s gradual sideways movement is really hard to measure because, on the short human time scale, Andromeda almost doesn’t seem to budge. Over a few billion years, though, such minimal movement would make a big difference. So the scientists used the Hubble Space Telescope to painstakingly measure the tiny sideways shifts in the galaxy’s stars over a 5-to-7-year period. They could then use that movement to extrapolate what the path of the galaxy would most likely be — and it turned out to bring Andromeda straight into the Milky Way’s spiral arms. Andromeda’s smaller companion galaxy, M33, could join the collision, making it a galactic group hug. Over about 2 billion years, the two spiral galaxies would merge, forming a more globular, non-rotating galaxy known as an elliptical galaxy. The sun would probably get flung out farther from the Milky Way’s center, but Earth would almost certainly remain undisturbed, relatively speaking: It’s extremely unlikely that any star would come close enough to our solar system for its gravity to disrupt our planet’s position around the sun. Andromeda is headed toward us at 250,000 mph — a speed that would allow it to reach the moon from the Earth in an hour. It will accelerate up to five times the current speed as gravity pulls the two galaxies inexorably into one another’s spiral arms, scientists said.